From April 11 to 14, 2019, Benetti is attending the Singapore Yacht Show, held annually on the island resort of Sentosa. This year, the Tuscan shipyard has decided to exhibit scale models of four iconic yachts: Mediterraneo 116, Oasis 40M, Diamond 145 and B.NOW 63. “The Asian market is of crucial importance for Benetti. The fact that we’re back under the spotlight at the Singapore Yacht Show testifies to how the Shipyard always finds this Country attractive,” said Benetti CEO Franco Fusignani. The Singapore Yacht Show held on the island of Sentosa from April 11 to 14, 2019 attracts numerous visitors from all over Asia. This year, the Tuscan shipyard’s far eastern customers will see four models that epitomise the craftsmanship and tradition of Benetti: Mediterraneo 116, Oasis 40M, Diamond 145 and B.NOW 63. Mediterraneo 116 is a 35.5-meter yacht with generous spaces flooded with light that work in perfect harmony with exteriors designed by Giorgio M. Cassetta. The Class category flagship, 44-meter Diamond 145 has interiors designed by Achille Salvagni and, once again, exteriors by Giorgio M. Cassetta. The Shipyard’s design partner for B.NOW and Oasis was UK firm RWD. 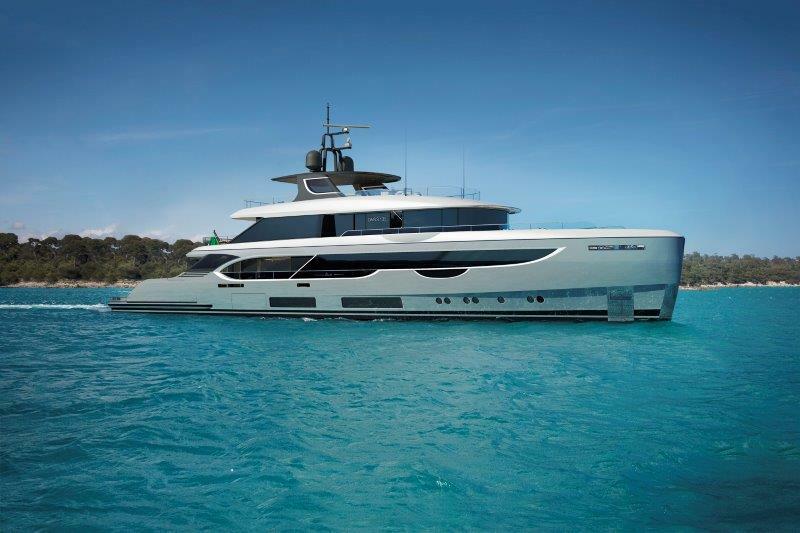 B.NOW 63 is a 63-meter yacht, guaranteeing reduced delivery times, with a layout that can be customized. Her distinctive feature is a dynamic union between decks with newly designed exterior contours. Oasis 40M, a 40-meter yacht created to meet the needs of a modern owner, offers a contemporary take on the use of interior and exterior spaces, suggesting a free and informal relationship with the sea.